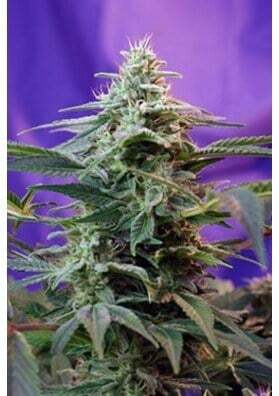 Magnum from Buddha Seeds, the automatic strain of Marijuana more productive and powerful from the seedbank. Incredible power, extremely high productions and fast flowering. A champion! Magnum from Buddha Seeds, the automatic strain of Marijuana more productive and powerful from the seedbank. It is the result of three genetic parents that have a great power, productivity and speed. As a consequence, Magnum is incredibly powerful providing an amazing cerebral effect that will take over your mind slowly but in a very intense manner. In fact and after a while, you will be writhing on the flloor laughing not being able to stop. Besides that, Magnum, has a fresh and fruity taste and aroma with a spicy touch. This plant grows vigourously and rapidly being able to reach considerable heights and branches. During the flowering period, Magnum produces very resinous buds. Its indoor growing must be carried out by controlling all the time the size of the plants. A good tactic is to use small sized pots. 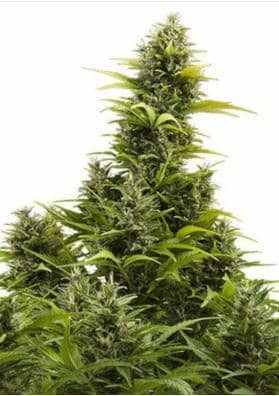 Cultivating it in a big pot or directly on the ground it grows showing all its fullest, becoming a huge monster, that will make you wonder if it is really an automatic marijuana plant. In this way, it is not suitable for growing in guerrilla floor as you will be betrayed in five seconds. Enjoy this super yielder that stands out among others!